Following a discussion on the 1940s Experiment FACEBOOK PAGE here is the Wartime Farm Christmas Special which I just found on YouTube! 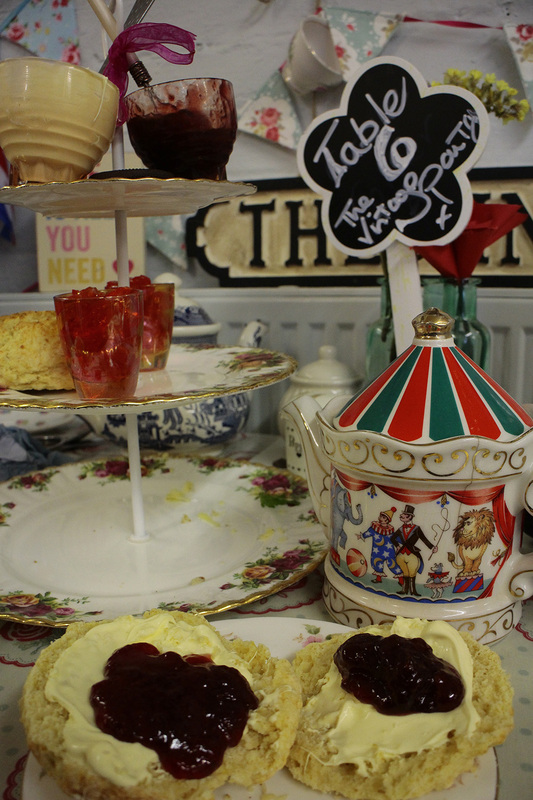 Tea Room Review 3 – The Vintage Pantry, Sheffield. 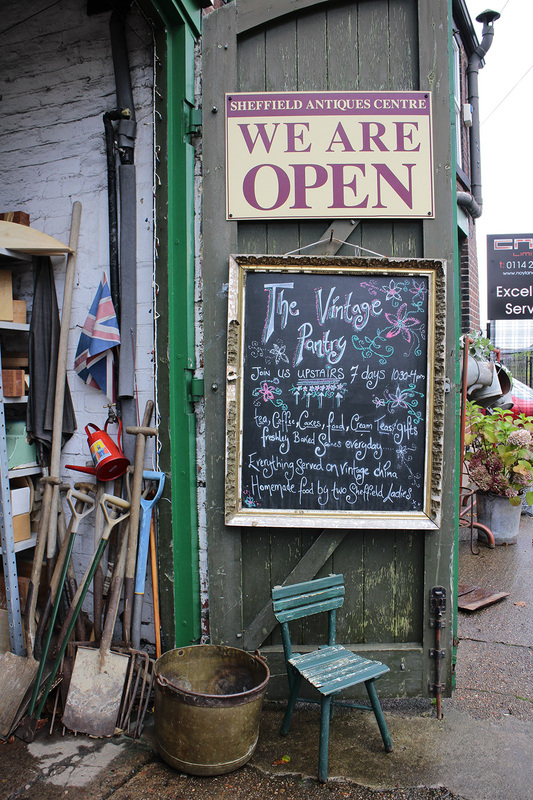 So we’ve decided, on wet weekends when we can’t really go anywhere, we will visit vintage style tea rooms. Am I worried that a delicious scone and a generous slice of cake will undo all the good I’ve done so far? Yes, A LITTLE, but only a little. I’m going to up my exercise regime, forgo puddings throughout the week and eat more veggies and salads and REALLY look forward to a delicious afternoon tea a couple of times a month. 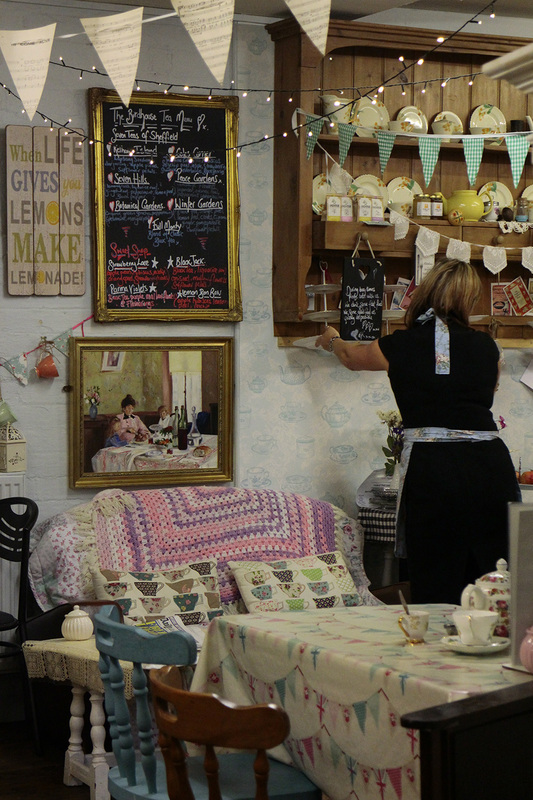 Today was wet and miserable so we googled ‘Vintage Tea Rooms in Sheffield’ once again and decided to try ‘The Vintage Pantry’, partly because it was set in an antiques centre and partly because it had great write ups and we liked the ‘shabby chic’ decor! 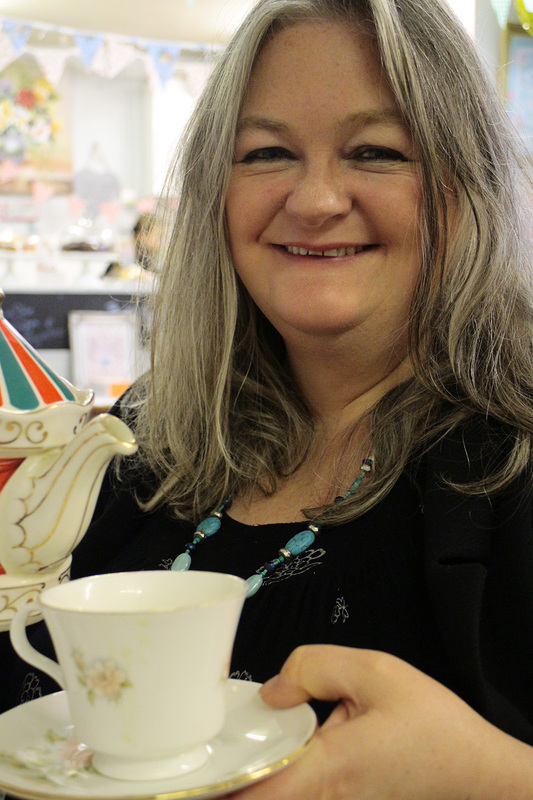 Once again we ordered an ‘afternoon tea for two’ and we had a lovely big pot of loose leaf tea which gave us several vintage china cupfuls each! 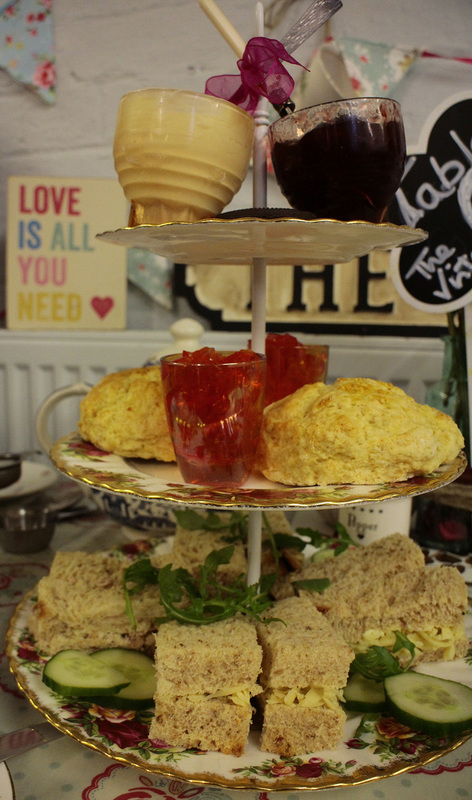 The sandwiches, lemon scones, clotted cream and jam came out on a 3 tier vintage cake stand. Also on our cake stand was a small shot glass of jelly and an oreo cookie which we were not expecting, I guess it was a quirky touch which fitted in well with the quirky setting! After we had eaten our sandwiches and scones we selected a large slice of cake each (as part of our afternoon tea) from the counter and the owner kindly put these in a box for us to take home as we were absolutely STUFFED. The afternoon tea was delicious and good value for money at £9.95 each. 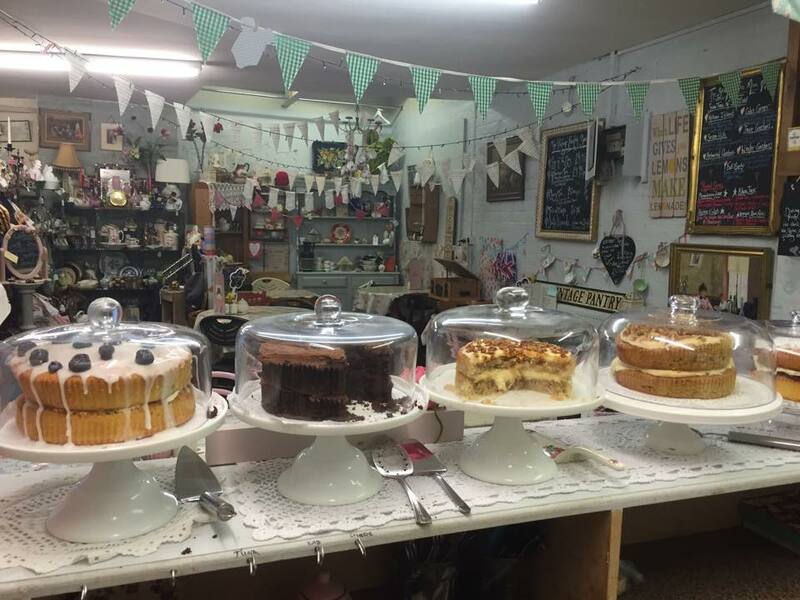 The tea-room is small with about 5 tables, and popular, so we would recommend that you call 24 hours in advance and book a time slot and table. 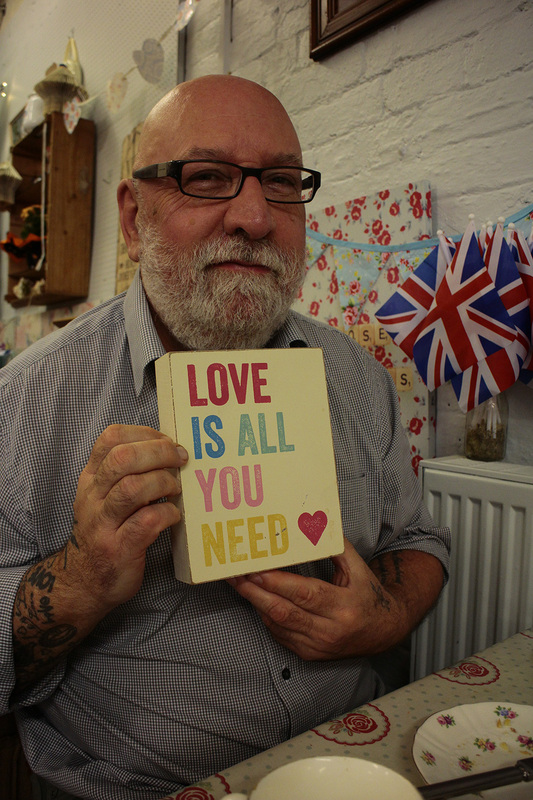 The staff are friendly and the owner came over to chat before we left and made us feel most welcome. The menu also has breakfasts and lunch. I contacted the Vintage Pantry late yesterday evening by messaging their FACEBOOK PAGE and they got back to me very quickly. We would definitely return and can’t wait to go back and also spend a couple of hours poking around ‘Sheffield Antiques Centre’ where it is located. 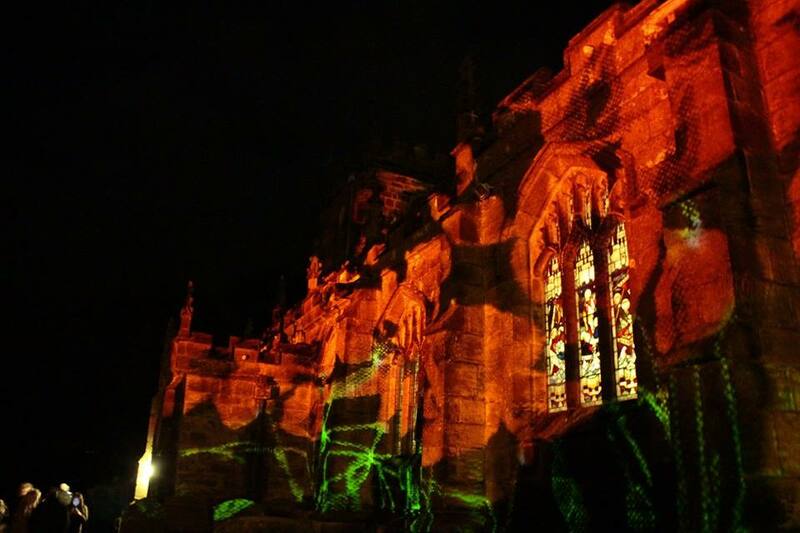 Giant floating poppies at St. Nicholas Church in High Bradfield. 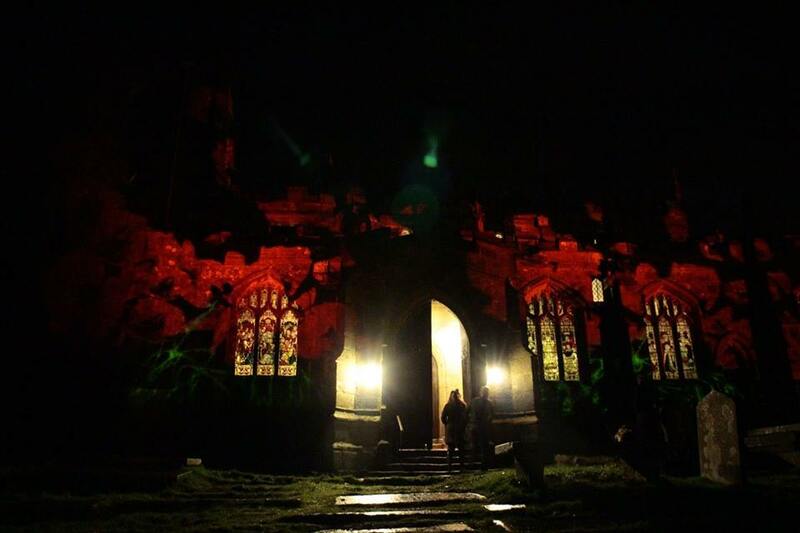 Giant floating poppies were beamed on to historic St Nicholas Church in High Bradfield on November 1st, 2015 and continued to be illuminated onto the church every evening until and including Remembrance Sunday, as part of a charity project to boost Help for Heroes, the Royal British Legion and the church. 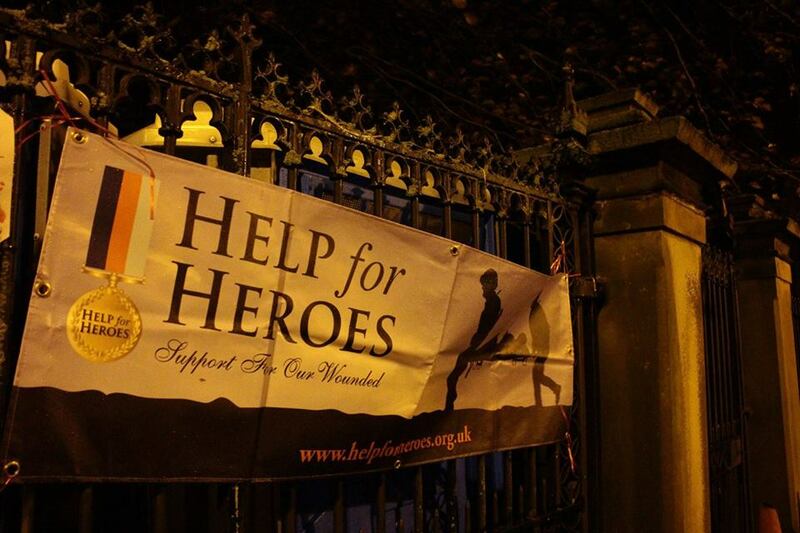 We braved the rain and wind to find our way to the church on the evening of Remembrance Sunday. 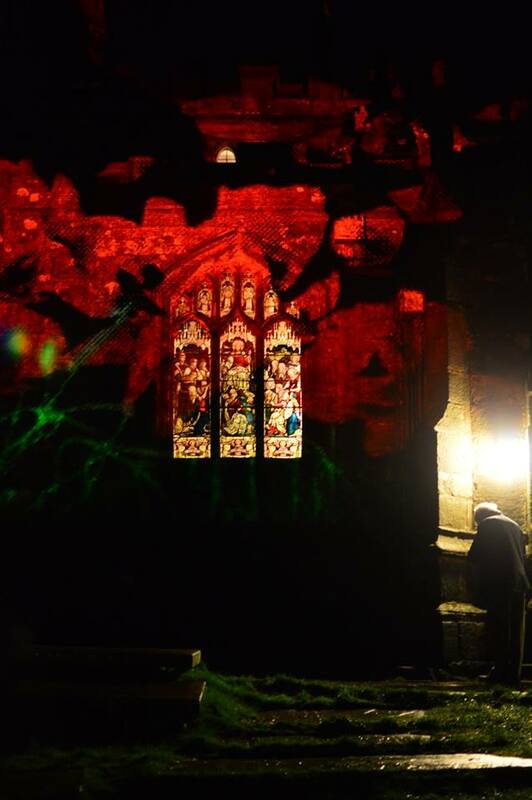 There were lots of visitors arriving by car and parking in the dark country lanes and walking down the steep cobbled street to the church to pay their respects. It was dark, and windy and quiet, peaceful almost except for the whistling of the winds coming off the fields. 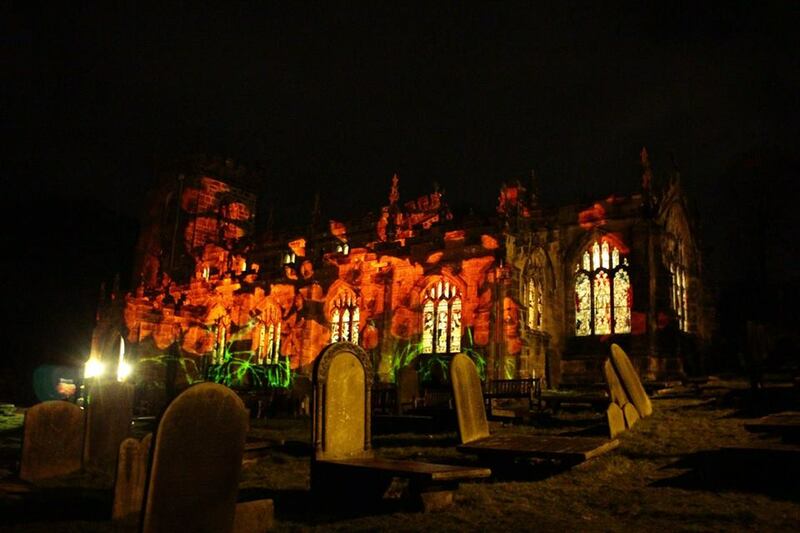 The giant poppies projected onto the side of the church really made you stop, stand and think…. 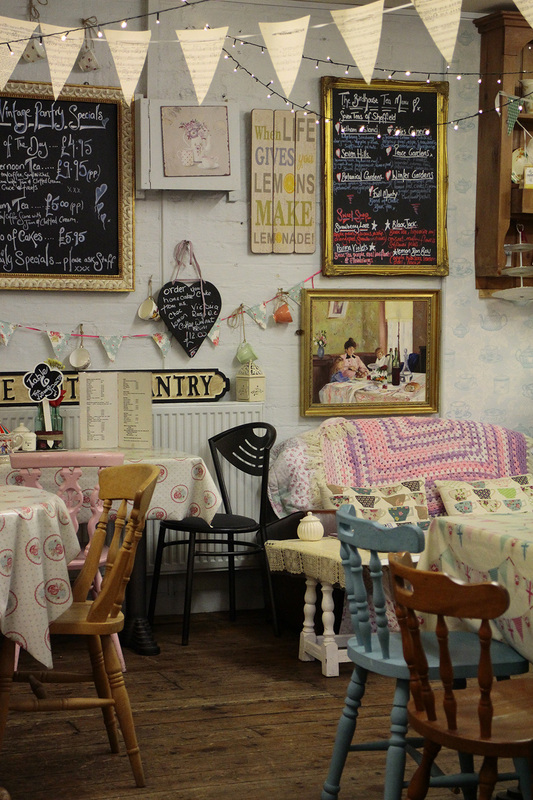 We reserved a table in advance for this popular cafe and tea-rooms on Abbeydale Road in Sheffield. Jameson’s Cafe and Tea-Rooms didn’t disappoint! The staff were very courteous and considerate and we were shown to a table for two in the quieter 2nd room further from the main entrance. The table was nicely set with a table cloth, vintage crockery and silverware and 1940’s piped music played in the background creating a nice atmosphere. The piped music was soon replaced by a young male pianist playing on the piano in the main reception room. Playing contemporary popular songs in a gentle, soft, Art-Deco era style, added a lovely ambiance to our visit. We ordered ‘Traditional Afternoon Tea’ at £12.95 per head from the rather lovely menu. For this we had a choice of several fillings for our finger style sandwiches (with crusts removed), a choice of scones (we chose blueberry and white chocolate) served with clotted cream and jam, a pot of loose leaf tea served in a vintage style tea-pot, cups and saucers and finally a generous slice of fresh cake (there were about a dozen different cakes to choose from which included lemon, victoria sponge, coffee and walnut, chocolate, lime and vodka, almond, rocky road, gluten free options, sticky toffee, and fruit style cakes). 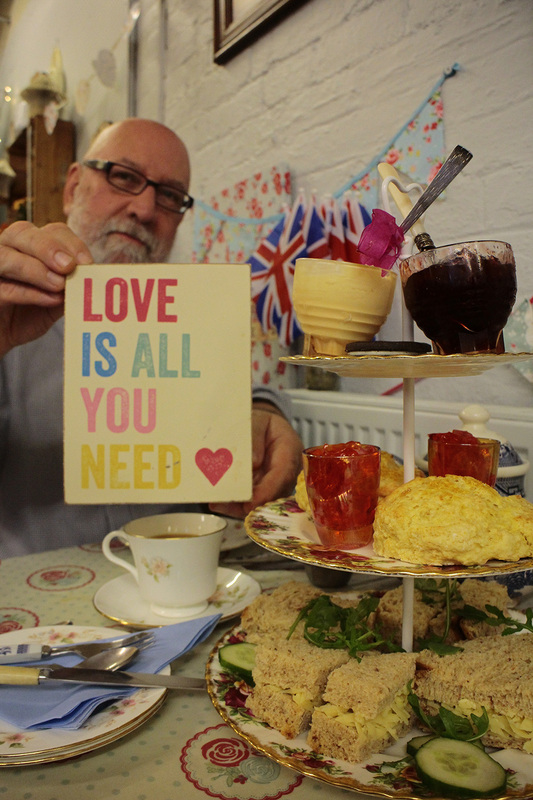 The sandwiches and scones were delivered to our table on a rather nice tiered serving stand. I think for something to feel like a lovely treat, aesthetics are important. The attention to detail to give a traditional vintage feel/experience were quite lovely. We will DEFINITELY be coming back to Jameson’s. They have a good varied menu to entice us back again and we will be very much looking forward to it!